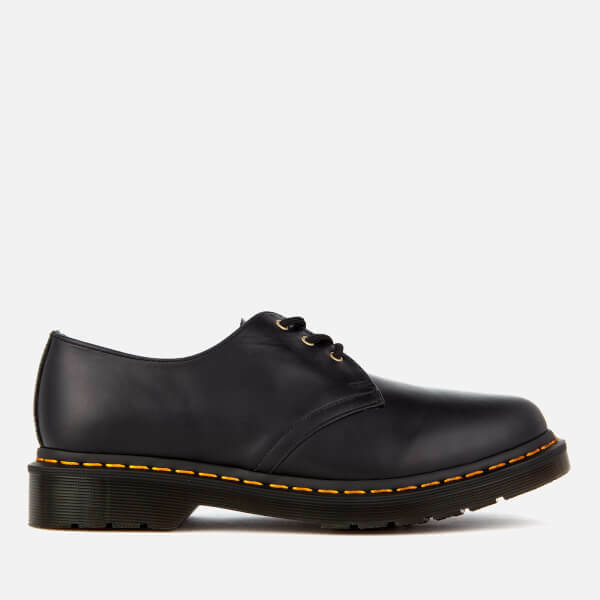 Men's leather shoes from Dr. Martens. 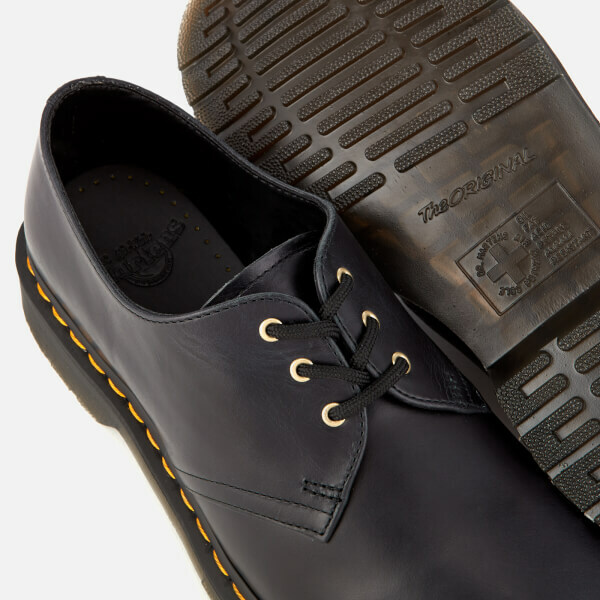 Crafted from smooth leather to form a low profile silhouette, the '1461' shoes have been designed with a rounded toe and three eyelet, derby lace-up system. 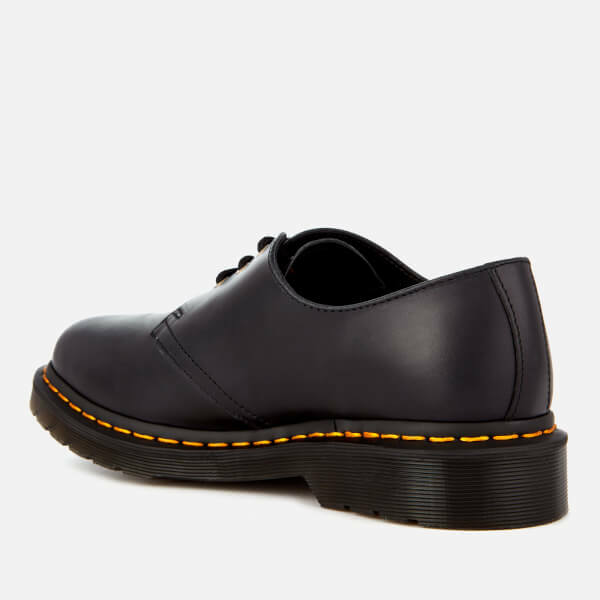 Incorporating classic DM details, the Doc Martens are set upon a Goodyear Welted sole (the upper and sole are sewn together in the brand's heat-sealed z-welt stitch) and accentuated with a grooved midsole and signature yellow stitches. The iconic AirWair™ sole is oil and fat resistant, and offers enhanced slip resistance.